Through the extraordinary images and insights of the world's master photographers, Photowisdom explores the richness of contemporary photographic practice. 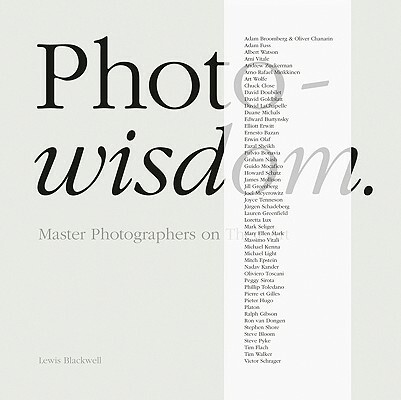 Photowisdom features commentaries from original interviews with world-leading photographers alongside exquisite reproductions of key images chosen by the artists themselves.The result is an unprecedented collection of 200 images showcasing each master photographer's work and their unique voice. Photowisdom will support a project with award-winning charity PhotoVoice (www.photovoice.com) to help children in rural Afghanistan express their concerns, and grasp opportunities through photography.